How do I check mailbox usage across packages? 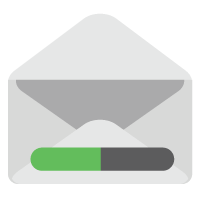 How do I check mailbox usage across packages in My20i? 20i provides a simple and easy way to monitor mailbox sizes across the packages and sites within your My20i account. This allows you to monitor and manage client’s mailboxes without having to enter individual packages. Head to the Reporting section on the home page and select Mailbox Usage. You’ll be shown the total number of mailboxes along with their combined total resource usage. By default, the list will be ordered according to the highest Percentage Used column. You can also sort the list by selecting the column heading you wish to sort by, i.e. select ‘Mailbox Name’ to sort the domains alphabetically. Note: You can increase the size of your mailbox in 10GB increments by ordering a Mailbox Quota Addon, available from the Mailbox Usage page.